Harrow Philharmonic Choir was founded in 1959 so its next season, from Autumn 2019 to June 2020 is its Diamond Jubilee Season. We are a very friendly group of 50 or so singers. Our conductor, John Wyatt, draws from us high standards of performance, but he does so in a genial manner that makes rehearsals a pleasure. We have a talented accompanist, Heather Toyn, and an accomplished Chorus Master, Ian Lawrence, who takes some of the rehearsals. We are privileged to have Dame Janet Baker as our President. She attends our concerts whenever she can and we are grateful for her interest in the choir’s activities and her encouragement. Our normal programme is to give ‘serious’ concerts in the Autumn and the Spring with a more informal concert in the summer. In addition we have a Christmas Carol Concert. We also run workshops that lead to a ‘concert from scratch’ where we welcome singers from outside the choir. Occasionally we invite a voice coach to come and give us advice and exercises. When: Saturday 19th Oct 2019. New members are always welcome and can be sure of a friendly reception! An informal audition is arranged after attending a few rehearsals. The ability to sight-read is useful but not essential: commitment is more important. Rehearsals are recorded and the recordings are made available to members who want to be able to go over the music in their own time. 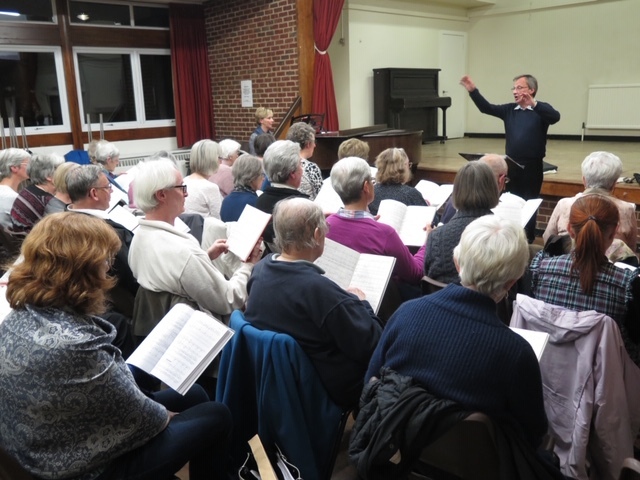 We rehearse on Monday evenings from 7.45pm to 9.45pm (with a refreshment break) in the hall of Harrow High School (Gayton Road, Harrow, HA1 2JG). If you are interested in joining us, please contact our membership Secretary; Kathryn Sweet on 020 8866 0382 or at contact us. Recent performances have inlcuded, on the serious side, Vaughan Williams’s Toward the Unknown Region and Vierne’s Messe Solennelle (both included in a concert commemorating the centenary of the return of peace in 1918). On the less serious side, we recently performed Gilbert and Sullivan’s The Pirates of Penzance. 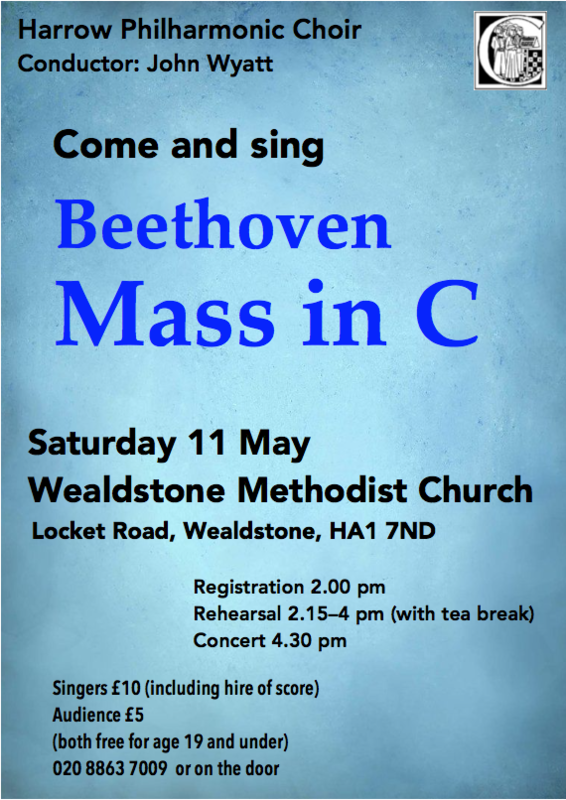 Over the years we have sung most of the ‘classical’ repertoire, including Handel’s Messiah, the Bach Passions, Haydn’s Nelson Mass, Mozart’s Requiem, Brahms’s A German Requiem and many others. We are also keen to introduce audiences – and of course ourselves to relatively unknown works such as Bliss’s Pastorale. For our most recent concert we joined two other local choirs to perform Verdi’s Requiem. Friends of the Choir support the choir’s activities by paying an annual subscription that entitles them to a ticket for each of the three main concerts. They are also welcome to attend the Annual General Meeting which is held after the last concert of the season in June. They subscription is currently £25.00 per year. John began studying the organ with Richard Hickox at St. Margaret’s Church, Westminster at the age of fourteen having started with the piano at the age of seven. He continued his musical education at the Royal Academy of Music where his teachers included Douglas Hawkridge for organ and Paul Steinitz for harmony and continuo playing. 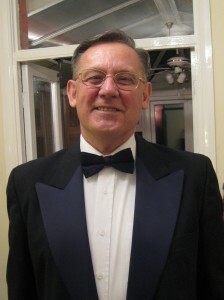 John has been conductor of Harrow Philharmonic Choir since 1991, bringing enthusiasm and humour along with his commitment to excellence in the choral singing tradition. 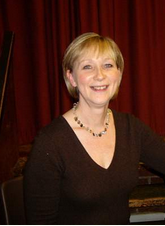 Heather has been accompanist to the choir since 1990. She has appeared on both BBC and ITV and has recorded for Richard Baker’s ‘Music for You’ and as a soloist with the choir. Ian has been Head of Music in three London Schools. 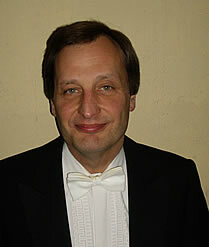 He has also been the conductor of other local choral societies. As well as conducting he has also been bass soloist in many parts of this country and abroad. We are privileged and honoured to have Dame Janet as our longstanding president. She actively supports us, for which we are extremely grateful.